Hola Chicas! I'm back, bit jet lagged, but here in body at least. I thought you'd want to see my American/duty free purchases. I didn't go crazy... thanks to the poor exchange rate things weren't so cheap this time. 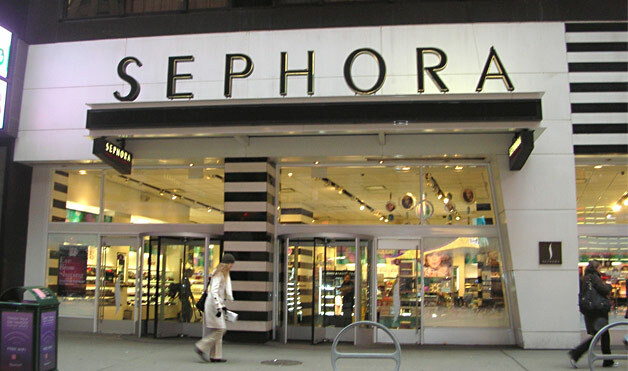 First of all, I LOVE Sephora. Why o why we don't have them in the UK? They're packed full of amazing beauty brands - premium and high street, I was like as kid in a candy store. In New York it seems like they're on every corner. 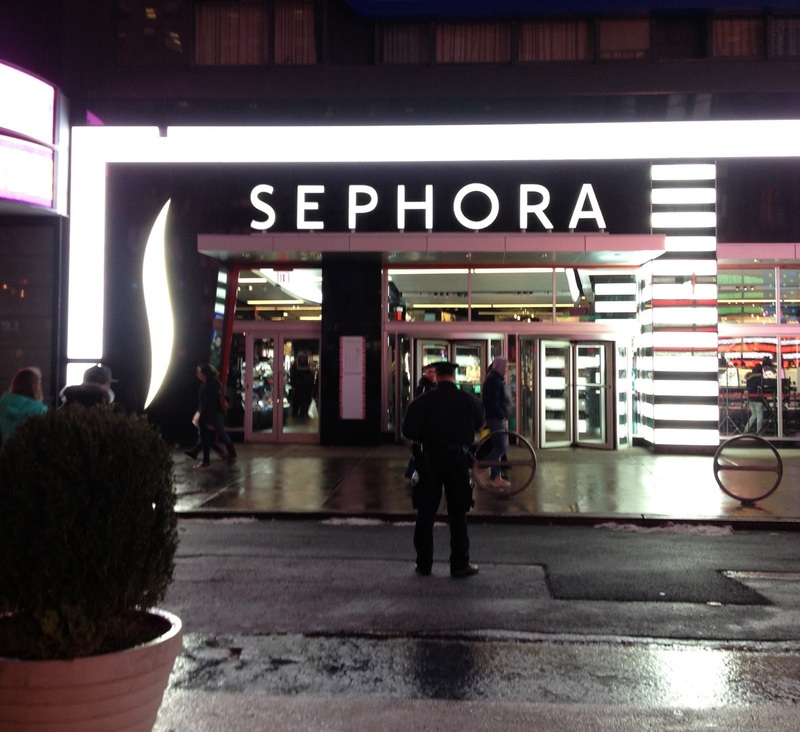 Sephora Times Square - thanks to the cop for blocking my shot! So many people said I had to check out Tarte blushers so that was the first thing I did. 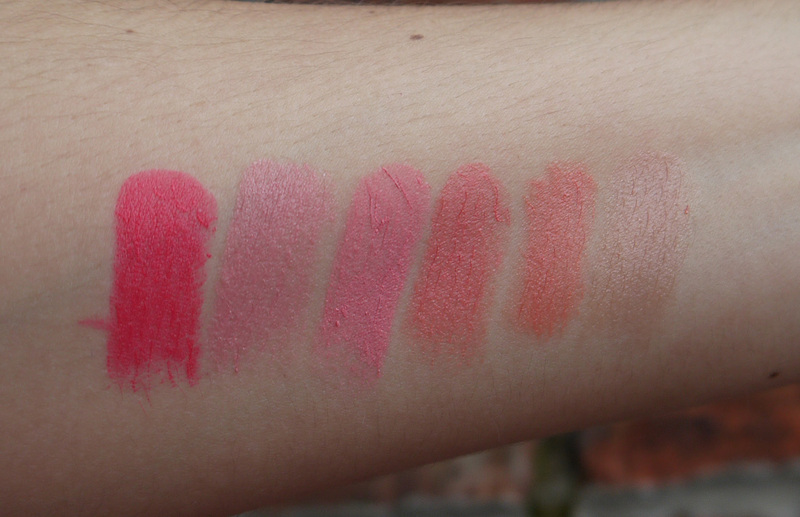 I really wasn't sure which colour to go for (should have done more research before I left) and they were hard to swatch for some reason but with a little help from the assistant I went with Blissful - described as a warm peach but I'd say it's more coral. Full reviews and pictures will of course follow. I also picked up a Sephora blush Rose Sorbet 16, Cleansing Water and Sephora by OPI nail colour in Havana Dreams. I went to MAC (of course) but it was hardly any cheaper than the UK so it seemed pointless stocking up. Instead I picked up a couple of things in duty free. 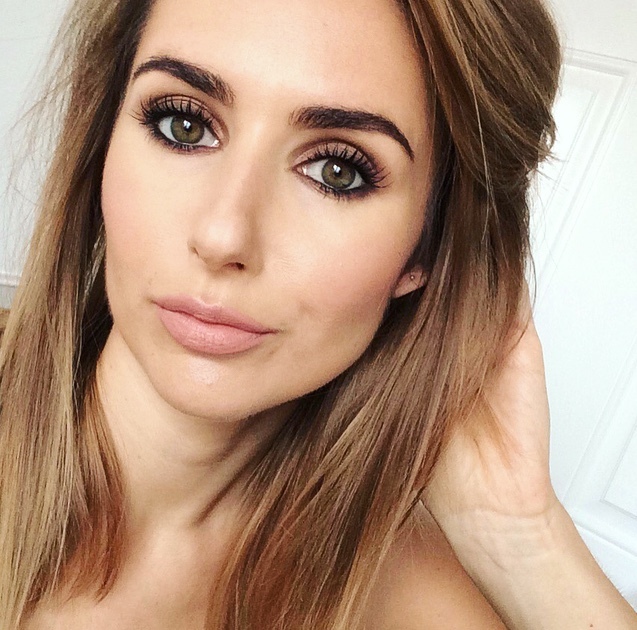 Brow Duo in Brunette (£17 in UK Duty Free) and Highlighter in Light Boost ($23 in US Duty Free). I popped in a few Drug stores to find some bargains and was thrilled to find Wet n Wild. My friend Yessie from Cinnamon and Zoey Kisses sent me some amazing WnW lipsticks and eye shadows in my US swap (haul coming soon I promise). This time I picked up a couple of nail polishes... less than $2 each, what a steal! I also stocked up on Clinique DDML ($47.50 for two) and treat myself to Repairwear Laser Focus... cos after a week in the Caribbean I figured I'd need some repairing. So there you have it, I promise reviews, pics and swatches coming soon. Let’s face it, we all love a good nosey in other people’s make up bags so I thought you’d like to see what’s inside my travel beauty BAGS. By the time you read this I'll be in New York then I'm headed to the Caribbean. It’s an amazing privilege and I can't wait but let’s be clear – it’s a major challenge for the beauty obsessed. Aside from the fact I need two separate wardrobes, I also need winter AND summer make up. And the thing is, you don’t get double the baggage allowance. Base - Three foundations may seem excessive but I need more than one shade for when I tan plus I'm going to decant them into little tubs. How cute is the mini fix+! Blush - I had to be ruthless and cut them down to four... although I've got a feeling a couple more might accidentally fall in my bag. Benefit Coralista and Bella Bamba, MAC Melba and Margin. Eyes - I couldn't go anywhere without my trusted HD Brow Palette or Benefit's They're Real Mascara. Urban Decay Naked Palettte because in my mind it's 1 product, not 12. And these clear bags from Marks and Spencer are a gem... and a bargain. WARNING: READING THIS REVIEW WILL LIKELY RESULT IN YOU SPENDING MONEY. Inspired by Queen Isabelle of Hungary’s famous elixir of youth, the Caudalie Beauty Elixir is packed with vitamins, minerals and serums designed to smooth features, tighten pores and give complexion a burst of radiance. There’s not much I can say about this super spray that hasn’t already been said except it’s like magic! A spritz or two immediately imparts radiance to my tired skin. Shake the bottle then spray directly onto the face before, during or after make up (or all 3 if you’re greedy) for burst of brilliance to lackluster skin. It is ideal for use prior to moisturising if skin’s a little dull and needs a boost. Spray on bare skin and leave a few moments before applying your usual moisturiser/primer. Similar to MAC Fix+ it can be used to set makeup. Once you’ve applied your slap, spritz over the entire face to set and add a sheen. Use anytime throughout the day as a pick-me-up when skin is tired or dry and watch as it miraculously imparts radiance and resurrects make up. How does it compare to MAC Fix+? 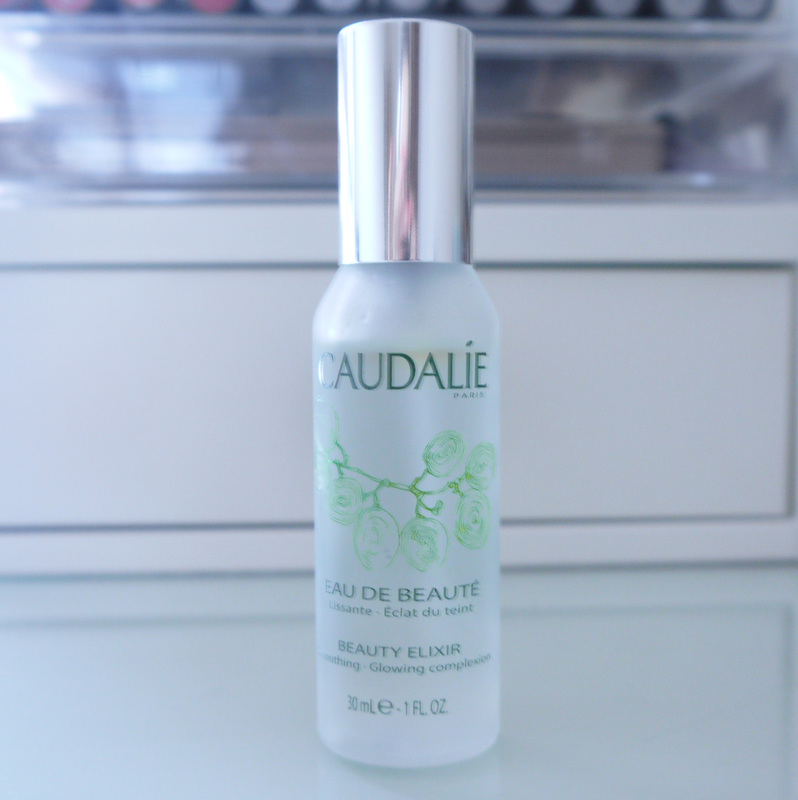 Caudalie Beauty Elixir is similar to my beloved Fix+, with two main differences. 1) Beauty Elixir is more of a lighter spritz, Fix+ is some what “wetter”. 2) Beauty Elixir has a lovely aromatic scent whereas Fix+ is more or less scent less. Do I need both? Probably not but I love them both! Caudalie Beauty Elixir comes in two sizes – 30ml £10.35, 100ml £28.80 Feel Unique. Let’s be honest this product is expensive! That’s why it took me so long to take the plunge and when I did I opted for the dinky 30ml bottle. The size is ideal for travelling and lasts surprisingly long but now I know I love it, it won’t be long before I go for the big bottle. 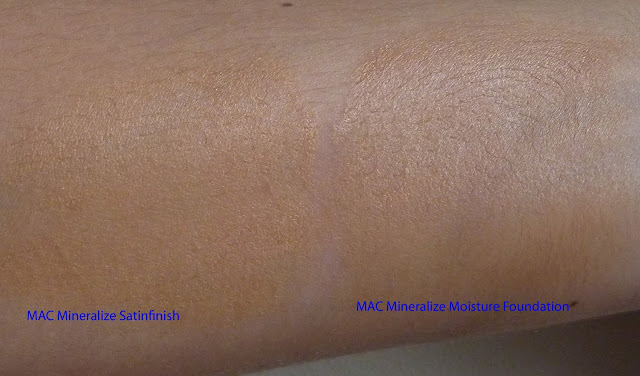 So when MAC discontinued Mineralize Skinfinish foundation I was mad (read about it here) but when I heard there was a replacement in the pipeline, the similarly named Mineralize Moisture Foundation it cushioned the blow somewhat. Then when I heard it was the go to foundation at London Fashion Week I couldn't wait to get my hands on it. Its lightweight lush texture feeds skin instantly with mineral-rich nourishing hydration, all day long. The uniquely creamy fluid, ideal for dry skin, blends beautifully, featuring shea butter, emollients and conditioning extracts to keep the face soft and supple. The formula features MAC 77-Mineral Complex including Shea Butter, emollients and conditioning extracts to keep the face soft and supple. 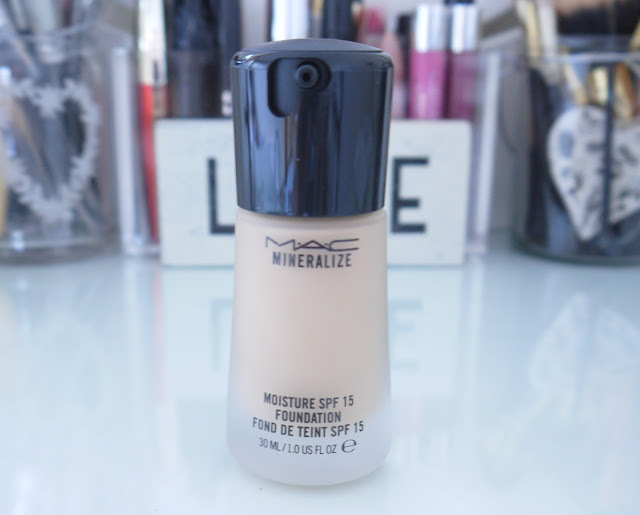 This foundation is a light to medium coverage which is buildable. Its combination of powders creates an optical blurring effect that virtually diminishes imperfections and fine lines for a more even tone. Love, love, LOVE it! It’s right up my street. Creamy, moisturising, dewy, fresh... I’m running out of superlatives. 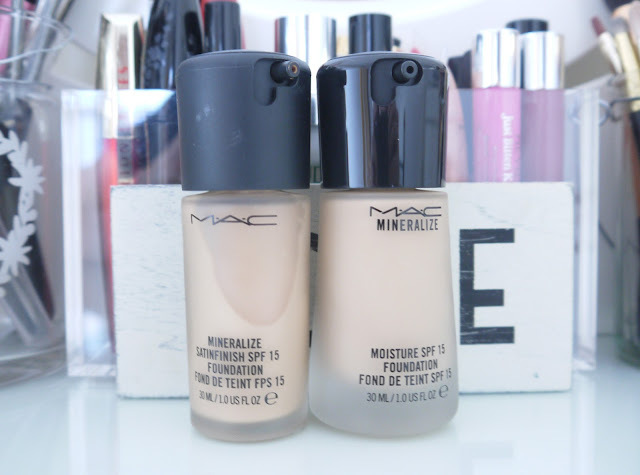 What’s impressed me the most about this foundation is that the glow lasts! Far too often that dewy glow you get with application disappears after an hour, but not with Mineralize Moisture Foundation. But be warned this foundation is not for everyone. If you have oily, even combination skin you may find it too shiny. I’ve had to reduce the amount of moisturiser I use in conjunction with this foundation and refrain from using Fix+ or Caudalie Beauty Elixir because that would be moisture overload! Very easy to apply. The creamy liquid glides on smoothly with fingers or a brush and blends seamlessly. Currently I’m preferring MAC duo fibre 130 brush. 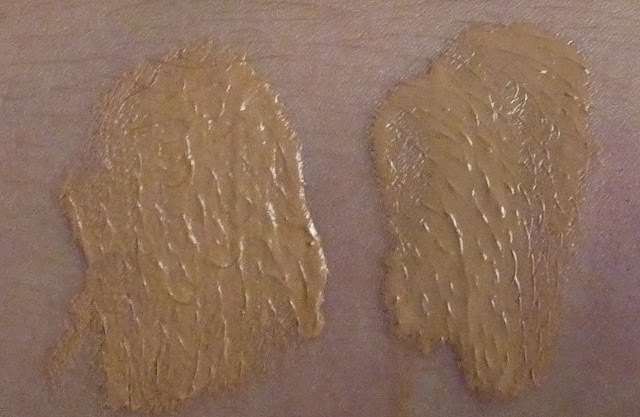 Low to medium buildable coverage. It easily covers dark circles and minor blemishes but doesn’t mask the skin. At least 8-9 hours, I rarely wear foundation for longer but the skin does appear a little in the afternoon and I find it needs a little more powder. MAC Mineralize Moisture SPF 15 Foundation 30ml £26 is out now, available at in store and online. Hello Glossies! Just as I'm flying out the door, look what the postman hands me... it's March's Glossybox. This month's box is all about City chic and couldn't have been more timely for my trip to New York next week - well done Glossybox! It's packed with great multi taskers and travel friendly sized products plus a handy and oh so cute travel book. It surprises me when they include items like this. It's cheap and chances are most of us already own it, or have tried it at some point. That said it's perfect handbag size and will be coming with me on my travels. One of my favourite products EVER! I can't live without it and although I own several tubs and tubes already, this will be ideal for my on flight bag. I already have the full size version of this - not doing too well am I! St James is a perfect pillow box red and will be a welcome edition to any nail collection. If anyone received another shade and fancies a swap, let me know. This smells okay but I always feel cheated when I receive a mini vial of perfume. This is the stand out product for me! I love my Revlon Kissable stains so can't wait to try this. Overall I'm happy with this box. I will use each product and love the cute travel guide. Find out more about Glossybox here. Go sister! Bobbi Brown’s Pretty Powerful campaign is about empowering women to look and feel themselves, only prettier and more confident. It’s about enhancing their individual beauty and being confident about who they are . As well as a new Book, Bobbi has today launched a limited edition cream blusher to coincide with International Women’s Day. Pretty Powerful Pot Rouge is a universally flattering peachy pink shade. It comes in a sleek flip-top compact with the campaign's signature logo. Its double-duty cream formula blends easily to give lips and cheeks a soft, stained finish. And the best thing is 100% of the £18 cost (less VAT) will be donated to Dress for Success London - the chosen charity for this year's Pretty Powerful Campaign in the UK. You heard me, 100%, so what you waiting for? 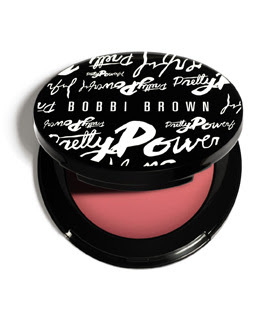 Bobbi Brown Pretty Powerful Pink Pot Rogue is available from all Bobbi Brown counters and online £18. Ladies I need your help! I’m going to New York in a couple of weeks and need the beauty scoop. It goes without saying that I’ll be heading straight to Sephora (yes I know it's French but we don't have them in the UK) and I’ll be like a mad woman trolley dashing around MAC. But I’d love the scoop from them that know! Which stores and beauty brands should I be stocking up on whilst I’m over there? Best products, new launches, bargain buys... the lot! I’m heading out on the 17th March. I've been before so know the basics but any other NYC related tips would be much appreciated.